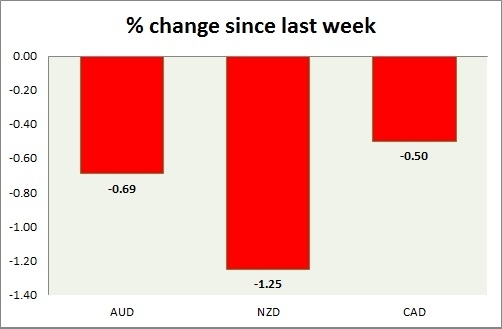 The Australian is continuing to trade in a tight range. The focus is on Sino-American trade talks. Business PMI report will be released at 21:45 GMT. The New Zealand dollar is showing signs of weakness as bulls struggle to break resistance around 0.69 area. Active Call - Sell kiwi targeting 0.59 area. Loonie is recovering along with the oil price.